The Lore-El Center is a vibrant living and learning environment that promotes the empowerment of Stevens women through programs, events, mentorship and a shared residential experience. The Lore-El Center is located in a beautiful, Victorian-style home located in close proximity to the Stevens campus that serves as a central point of community and education for Stevens women. The mission of Lore-El at Stevens is to increase awareness to issues facing not only women but all genders; empower Stevens women to further their co-curricular development; and create a supportive and inclusive campus environment. A small group of women committed to women’s programming apply and are selected to reside in the house each year. Student Affairs staff serve as mentors and educators for Lore-El and assist with developing and implementing programs and events for the Stevens community. With renewed donor interest, the Lore-El Center is benefitting from major renovations. To keep this valuable center flourishing while contributing to Stevens’ vibrant campus, capital improvements are needed. Such improvements will allow Lore-El to become a true hub for all women’s programs at Stevens. Engagement with Lore-El will further interpersonal, social, and professional development through annual programs and initiatives. 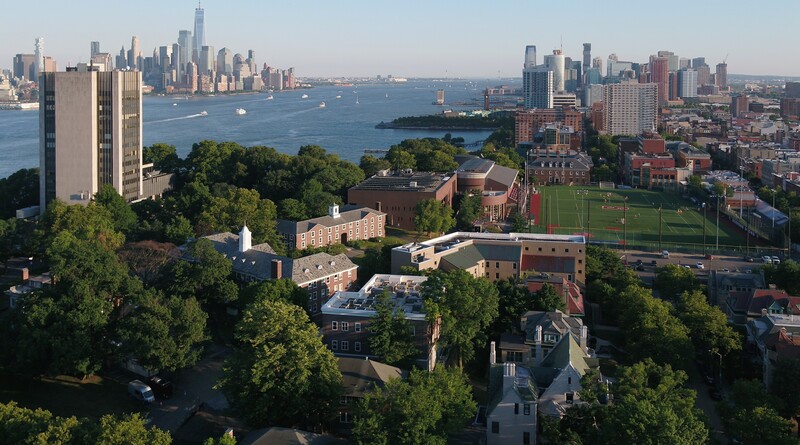 It will also connect students, faculty, staff, alums, and friends of Stevens who share a common passion for women’s empowerment and success. Additionally, it will provide opportunities for the Stevens community to engage in dialogue on gender-related issues in safe and comfortable spaces; support students, faculty, and staff in navigating the university environment and professional opportunities; and promote successful careers for undergraduate women. Since becoming co-ed in 1971, Stevens has worked hard over the past five decades to make sure women who are interested in STEM careers can come to Castle Point and reach their full potential. Since 1999, the Lore-El Center has been home to that effort in more ways than one. Lore-El Center is named after Lore E. Feiler, an entrepreneur industrialist who audited courses at Stevens during the 1940s. Feiler later became a generous donor to Stevens and her gifts have helped Stevens attract and encourage female students. Lore-El Center has provided to support to women and the Stevens campus for over 20 years. Learn how the center has impacted the lives of women throughout the years. "I love living in Lore-El because it provides me a community of women I can rely on and the events the center hosts brings us all closer together." "Ten years from now I will look back and think of how fortunate I was to live with such exemplary women and will feel honored." "My time living at Lore El has been so amazing, and it has truly become a home away from home for me." Join us for our upcoming programming!